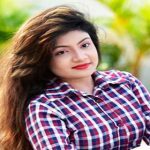 Sadika Parvin Popy is a popular film actress and model who made her debut with the film Kuli in the Dhallywood film industry. She slowly started her career, but she gained popularity within very short time. She now dreams girl to the most of young generation in Bangladesh. In Google, Popy’s name is to locate most among the Bangladeshi celebrities. Sadika Parvin Popy was born on September 10, 1979, in Dhaka Bangladesh although her home district is Khulna. She was very much interested about showbiz arena from her early childhood. She dreamed of being the actress in her early and her dream turned into reality when acted in the movie for the first time. She was very much interested about showbiz arena from her early childhood. Yet, she did not marry anyone even at the age of enough for marriage. In 1997, popular actress Popy made her debut in the film industry with the film Kuli. She showed good performance at her first movie Kuli wit co-actor Omar Sani which was super hit and commercially success. She already worked with all top artists in the Dhallywood film industry like Riaz, Shakib Khan, Shakil Khan, Shabnur, Mousumi, and Purnima. For her terrific acting, she gets National Film Award for three times. She showed her wonderful performance in these film Karagar, Magher Kole Rood, Ganga Jatra and Doultiya Opare etc. Popy’s name is most searched in Google for her glamor and nice face. Most of the users searched her in Google as named Hot Popy. There is a rumor that Popy’s had a love relation with film actress Shakil Khan, Riaz and Shakib Khan. It is a matter of strange that at age 36 yet she didn’t get married. You are best creation of Good. popy you are so so lovely girl. i lick you evrythink.